Normally, I am not fascinated by tour. but this one is private and closely knowledgeable. Forbidden city is usual a boring topic, but Binh the Guide enlightened the story and filled me with history in a modern way. 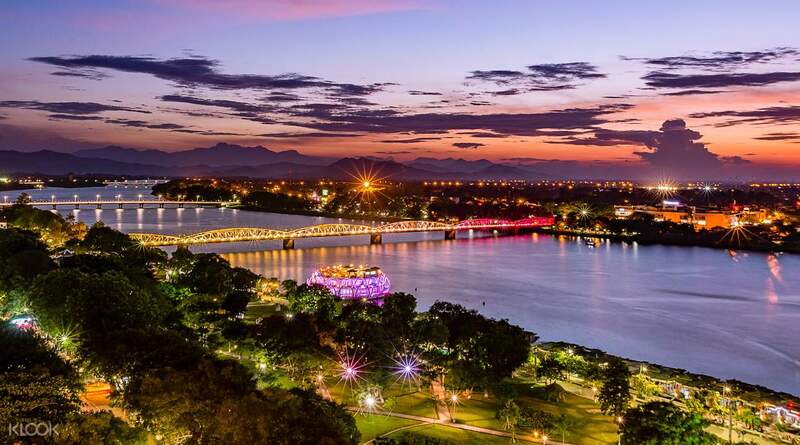 Let this exciting tour take you through the bustling streets, stunning landscapes, unique architecture and famous attractions in Hue. 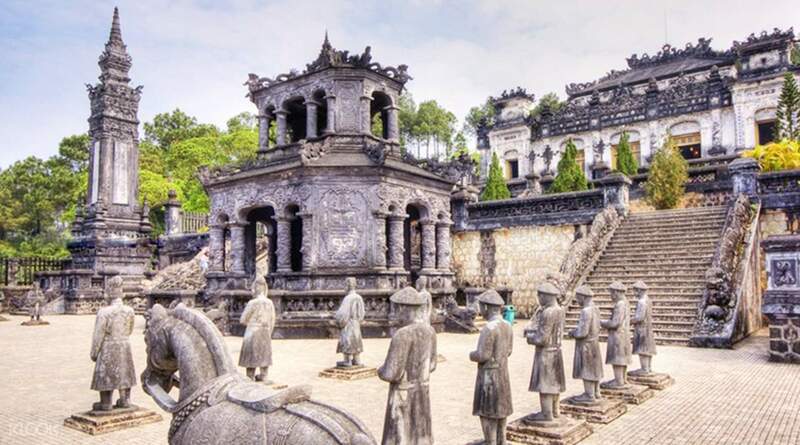 Discover tombs, pagodas, rivers, and legendary temples, and visit the sights that tourists travel the world to see: Thanh Toan Bridge, Minh Mang Tomb, Nam Giao Esplanade and more. Enjoy a relaxing lunch at a local restaurant and take loads of photos to remember. Feeling more like a voyage? Cruise along the Perfume River that got its name from the flowers that float in its waters in autumn. 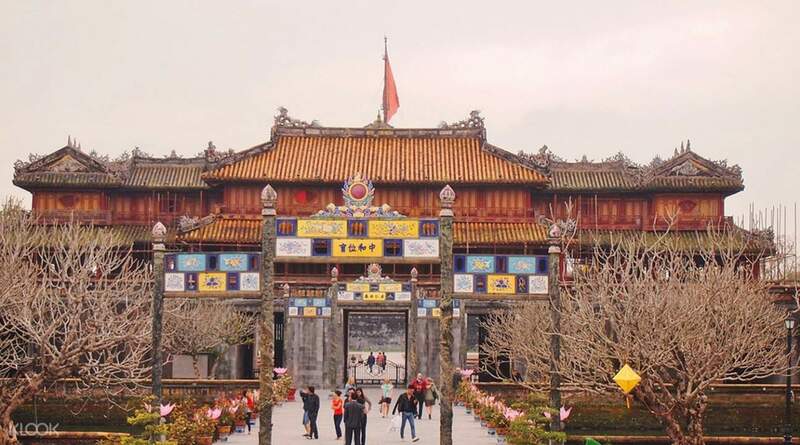 Visit the Imperial Citadel, An Hien Garden House, Thien Mu Pagoda and so much more. Normally, I am not fascinated by tour. but this one is private and closely knowledgeable. Forbidden city is usual a boring topic, but Binh the Guide enlightened the story and filled me with history in a modern way. Normally, I am not fascinated by tour. but this one is private and closely knowledgeable. Forbidden city is usual a boring topic, but Binh the Guide enlightened the story and filled me with history in a modern way. Guide is excellent. The tour is full and I was the last few to be picked up from the hotel. It would be better if someone can inform us earlier about the bus late arrival. The wait without knowing if the bus is really coming can be nerve wrecking. Guide is excellent. The tour is full and I was the last few to be picked up from the hotel. It would be better if someone can inform us earlier about the bus late arrival. The wait without knowing if the bus is really coming can be nerve wrecking. The tour was fantastic. Our guide Binh was knowledgeble and friendly and was extremely helpful as we had kids and elderly travelling with us. He kept the pace manageable and still covered the whole itinerary. He was funny and told us many stories to better understand the culture and people of Viet. Also thks to the driver too ... Safe and comfortable ride. The tour was fantastic. Our guide Binh was knowledgeble and friendly and was extremely helpful as we had kids and elderly travelling with us. He kept the pace manageable and still covered the whole itinerary. He was funny and told us many stories to better understand the culture and people of Viet. Also thks to the driver too ... Safe and comfortable ride. The tour didn't bring us to the explanade and garden house which is stated in the itinerary. I feel if it is not the plan to go to the two places, it shouldn't stated in the itinerary or I will feel it is deceiving. 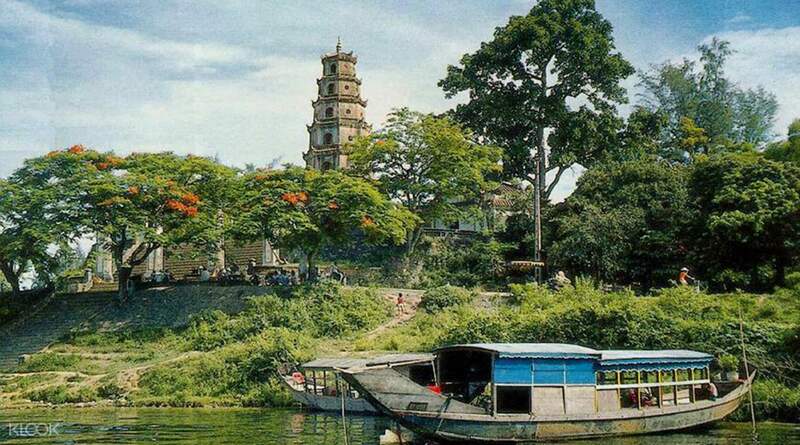 However, the tour covers all the places that must visit in Hue. The tour guide (Binh, if not mistaken) is friendly, knowledgeable and helpful. We can always ask him any question during the tour and he is very willing to explain to you. There are local and foreigners in the tour and the tour guide have to keep explaining in two different languages. The lunch provided during the tour is good too. Overall, my family and I were very enjoy during the trip. We will definitely recommended this tour to our friends and family!! The tour didn't bring us to the explanade and garden house which is stated in the itinerary. I feel if it is not the plan to go to the two places, it shouldn't stated in the itinerary or I will feel it is deceiving. 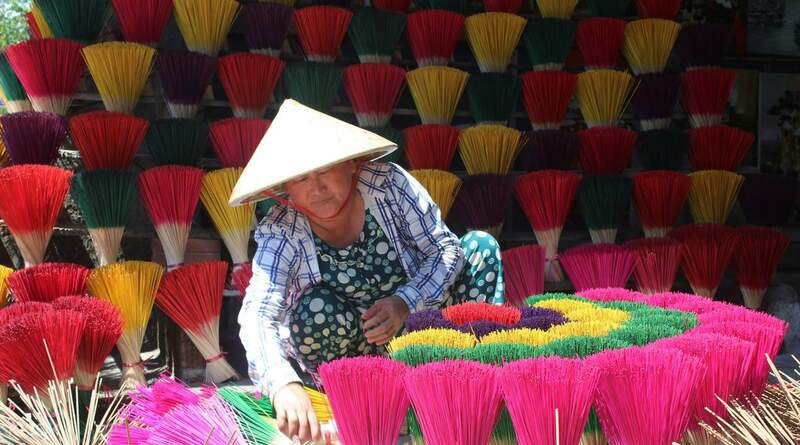 However, the tour covers all the places that must visit in Hue. The tour guide (Binh, if not mistaken) is friendly, knowledgeable and helpful. We can always ask him any question during the tour and he is very willing to explain to you. There are local and foreigners in the tour and the tour guide have to keep explaining in two different languages. The lunch provided during the tour is good too. Overall, my family and I were very enjoy during the trip. We will definitely recommended this tour to our friends and family!! Binh is a very good guide. Very knowledgeable and very funny he gave us a very good tour. With this tour you don’t have to worry. It’s an all inclusive. Pickup and drop off at the hotel, entrances at various sites, lunch and the boat trip. You only have to pay for your drinks at lunch. Binh is a very good guide. Very knowledgeable and very funny he gave us a very good tour. With this tour you don’t have to worry. It’s an all inclusive. Pickup and drop off at the hotel, entrances at various sites, lunch and the boat trip. You only have to pay for your drinks at lunch. Our very friendly tour guide, Binh, collected us from our hotel at 8ish and we were on our way. He was very knowledgeable and humorous. The tour was at a very comfortable and leisurely pace, which my middle aged parents could easily keep up with. Our very friendly tour guide, Binh, collected us from our hotel at 8ish and we were on our way. He was very knowledgeable and humorous. The tour was at a very comfortable and leisurely pace, which my middle aged parents could easily keep up with. I got in to town after the FUll Day tour had started but my guide met me at my hotel and took me to meet up with and enjoy lunch (lots of yummy local foods!) with the other members of the tour. The walking tours through the Citadel and buddhist temple were interesting and the river boat ride was very relaxing. It was the perfect introduction to the city and worth the price. I got in to town after the FUll Day tour had started but my guide met me at my hotel and took me to meet up with and enjoy lunch (lots of yummy local foods!) with the other members of the tour. The walking tours through the Citadel and buddhist temple were interesting and the river boat ride was very relaxing. It was the perfect introduction to the city and worth the price. Our tour went smoothly. We were picked up on time and since only four people signed up for that day, the operator provided a Toyota Fortuner which was really well kept with nice and cool AC, a very important thing in journey across South East Asia in hot season ???? The sites we visited were very interesting. The Royal Tombs reflects the richness of the history of Nguyen Dinasty, the last empire of Vietnam. Our guide Binh, is well versed and proud of Vietnam's history and he told us stories & events in a manner that makes it even more interesting. Lunch in the local restaurant serving local foods were also good. We tried local cuisine that used to be part of the Royal Banquet. After such scrumptuous dining, we went to the Imperial Palace of Hue. The citadel was the first one to see when we visited the location. Upon entering the Imperial Palace complex, your eyes were pampered with the majestic architecture of the orient. Our tour went smoothly. We were picked up on time and since only four people signed up for that day, the operator provided a Toyota Fortuner which was really well kept with nice and cool AC, a very important thing in journey across South East Asia in hot season 😁 The sites we visited were very interesting. The Royal Tombs reflects the richness of the history of Nguyen Dinasty, the last empire of Vietnam. Our guide Binh, is well versed and proud of Vietnam's history and he told us stories & events in a manner that makes it even more interesting. Lunch in the local restaurant serving local foods were also good. We tried local cuisine that used to be part of the Royal Banquet. After such scrumptuous dining, we went to the Imperial Palace of Hue. The citadel was the first one to see when we visited the location. Upon entering the Imperial Palace complex, your eyes were pampered with the majestic architecture of the orient.